The ’80s get a pretty bad cinematic rap, but it was actually a terrific time for genre films. For horror, outside of the never-ending slasher franchises, there was an exciting mix of sleazy second-wave exploitation films and more ambitious indies inspired by the atmospheric scares of the previous decade. Beyond famous classics like The Shining, The Evil Dead, and The Thing, here are some hidden gems for horror lovers. If you’re interested in reading more, below most entries is a link to the full review from my site Arthouse Grindhouse. 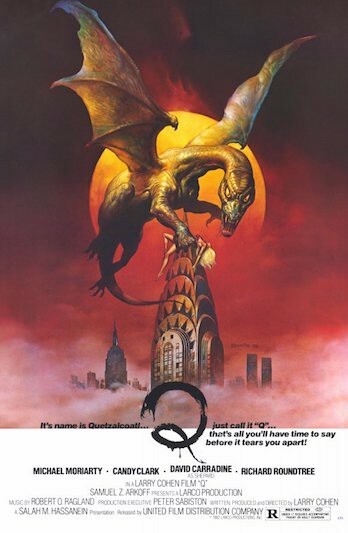 Q tells that age-old story of an ancient mythical flying serpent laying waste to New York City. Directed in 1982 by genre legend Larry Cohen, this good ol’ fashioned monster movie is perfect for anyone who agrees that King Kong could’ve used more jewel heists, bare breasts, and bizarre ritual murders. 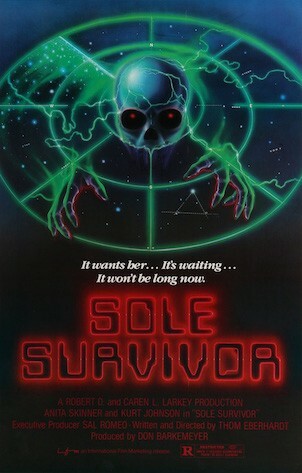 Sole Survivor is a wonderfully creepy, atmospheric movie. Director Thom Eberhardt does an impressive job cultivating a paranoiac dread, particularly in several hair-raising bits that bear striking resemblance to It Follows. Much like that similarly unsettling film, Sole Survivor has many scenes in which seemingly safe, public spaces suddenly turn unfamiliar and deeply frightening, as if a supernatural pall had been cast over everyday life. This entry into the apocalyptic Australian action-punk genre follows the plight of a couple who find that what they thought was a drive-in theater is really a government-sponsored concentration camp for wayward youths. 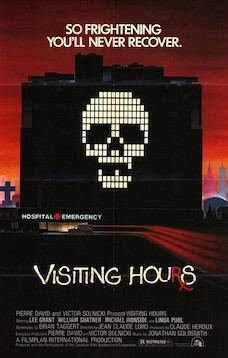 They become trapped in the drive-in, forced to deal with the gangs of degenerate punks that inhabit it like prisoners. 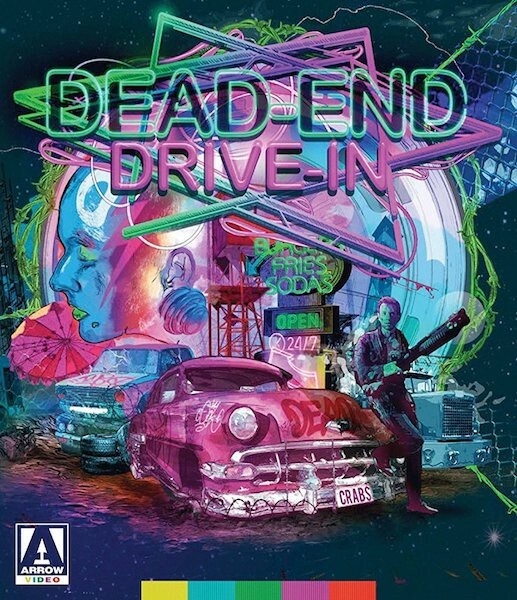 Dead End Drive-In is simultaneously grungy and beautiful, packed with visual flourishes involving crazed punks, graffiti, bizarre costumes, and junk — the drive-in looks like the chaotic parking lot of a Misfits concert. This is gutter art. 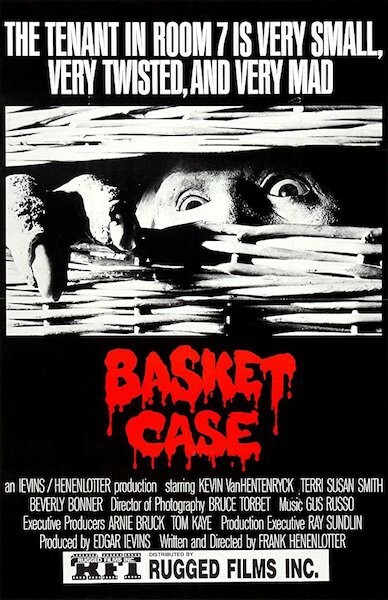 This deformed, grotesquely magnificent exploitation film uses its unseemly virtues to transcend typical low-budget schlock and become one of the genuine best films of the ’80s. Writer/director Frank Henenlotter has a hell of a story to tell: naive young man Duane Bradley shows up in filthy 1982 New York City and checks into a seedy flophouse populated by prostitutes and drunks. What is small-town Duane doing in the big city and, more importantly, what is he lugging around in a wicker basket that he refuses to open for anyone? It’s Friday the 13th inside an A&P in this late ’80s slasher, as the overnight crew of a supermarket are brutally picked off by a sadistic murderer. 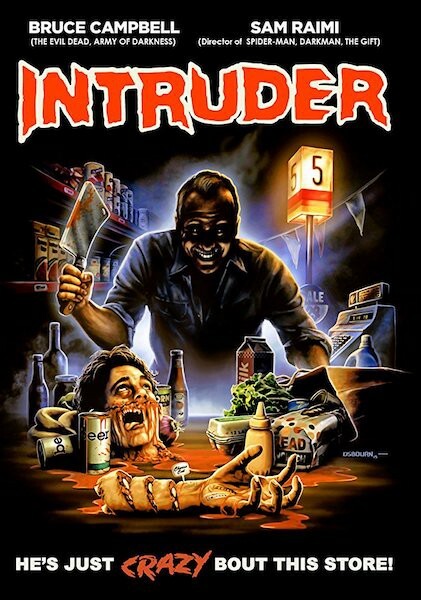 I know it sounds like a lame twist on an already dull genre, but Intruder is actually way better than about 90% of its bigger-budgeted, franchise peers. Do you love Michael Ironside, perpetually terrifying villain from Paul Verhoeven trash classics Total Recall and Starship Troopers? Are you excited and possibly aroused at the prospect of watching him play a seriously deranged cross-dressing, misogynistic, custodian/murder? Did I mention William Shatner? This tremendously fun Ken Russell outing feels like an arthouse version of Troll 2. 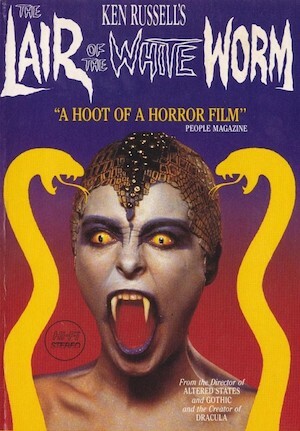 Gleefully strange and zealously exploitative, it genuinely works despite its campiness — White Worm is actually pretty creepy at times, and several scenes are bizarre, visually striking standouts. 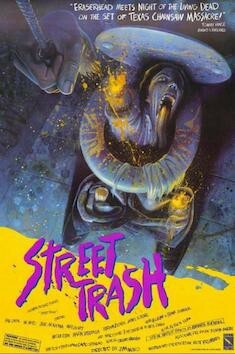 Street Trash is nightmarish wish fulfillment for exploitation film fans, a sadistic movie begging the question, “Isn’t this what you wanted?” So much of the appeal of grindhouse films and their grimy offspring is gratuitous excess and bad taste, but Street Trash is one of the most aggressively nasty films I’ve ever seen. Okay, so it’s pretty hard to argue that an entry in one of the decade’s most ubiquitous horror franchises is a hidden gem. But, believe it or not, this vastly underrated Nightmare sequel is actually a potent allegory about closeted teen Jesse coming to terms with his sexual orientation, with none other than Freddy representing his repressed homosexuality (as Jesse so eloquently reminds us, “He’s inside me!!!”). 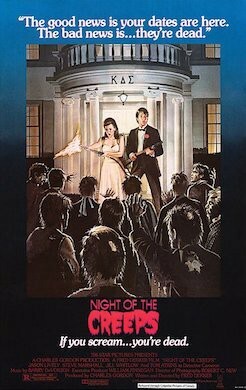 Even as far as slasher flicks doubling as gay youth parables go, this one is pretty unusual.